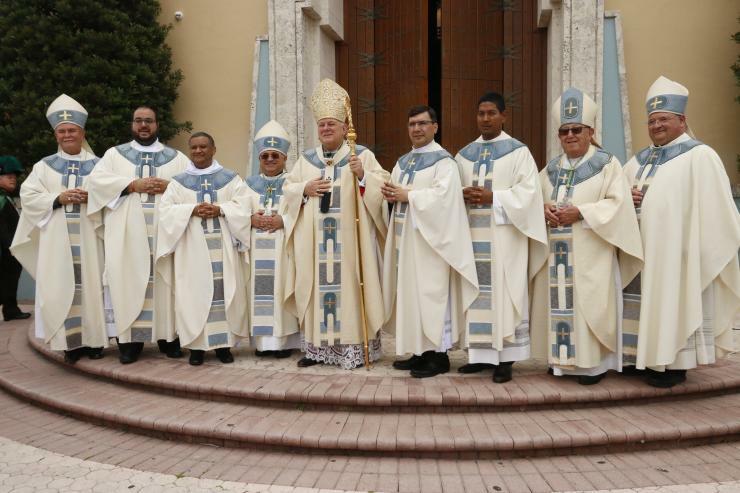 MIAMI | Two are older. Two are younger. 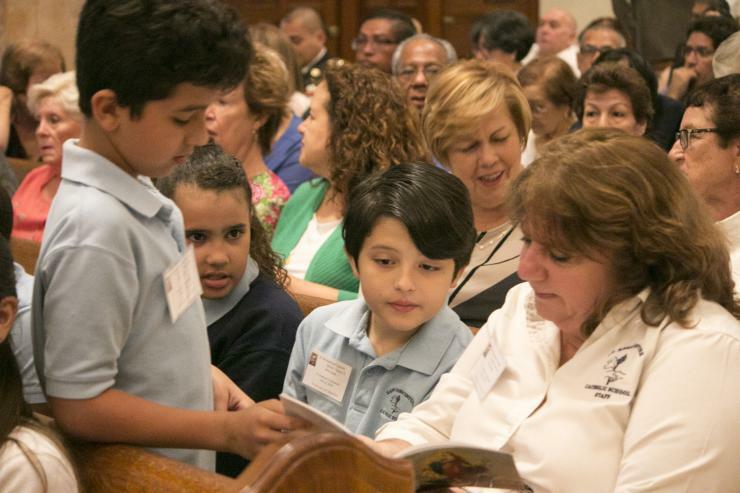 Two come from the same parish, Mother of Our Redeemer, another from a parish nearby, Immaculate Conception. 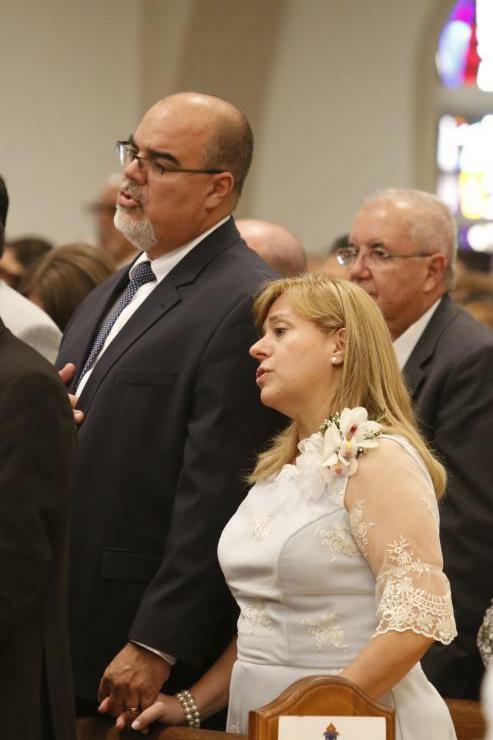 One is a native — born and raised in Hialeah. The other three are immigrants who started out as manual laborers: loading and unloading clothing, moving mattresses, waiting tables. 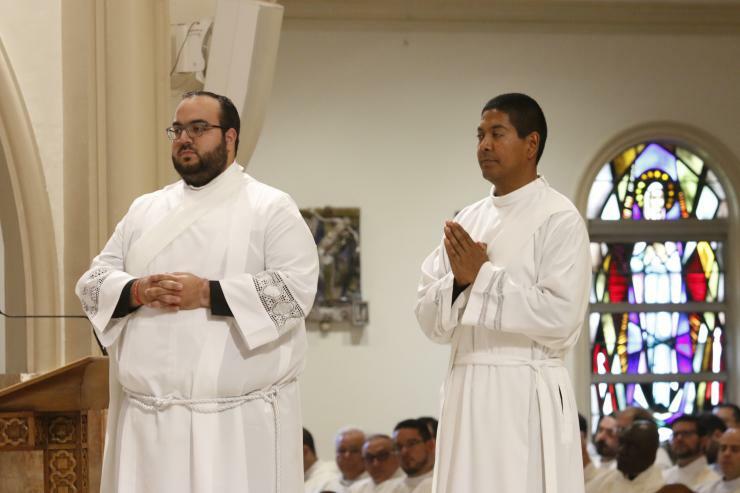 Matthew Gomez, 27, a Hialeah native and local Catholic school graduate who always considered the priesthood an option, then discerned it as a calling. 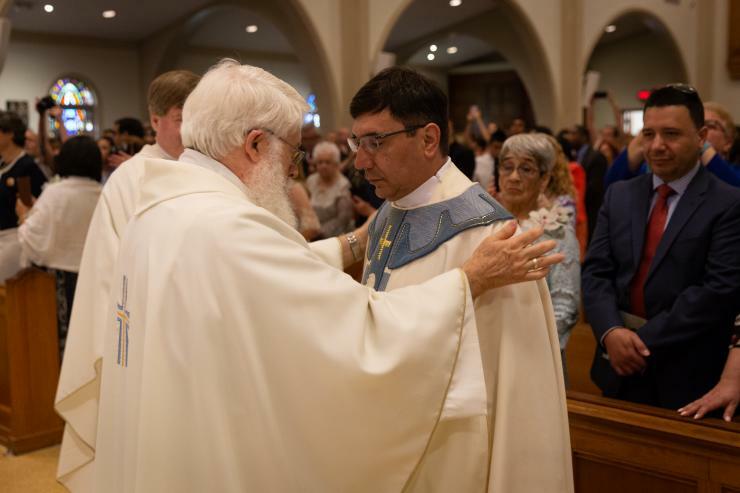 Archbishop Thomas Wenski ordained them May 12 in front of a jam-packed St. Mary Cathedral, during a ceremony brimming with symbols and tradition — and as emotion-filled as the new priests’ personal stories. 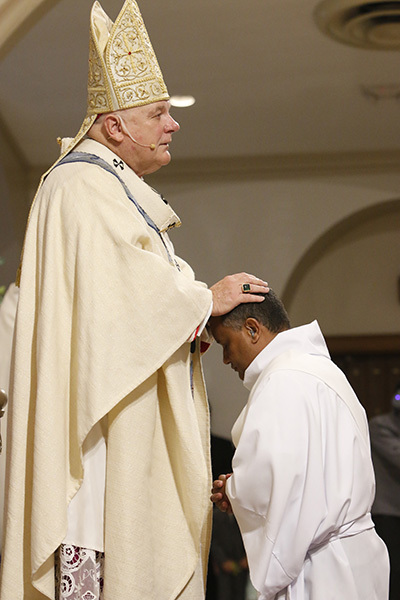 Archbishop Thomas Wenski lays hands on Deacon Omar Ayubi, calling down the Holy Spirit and ordaining him a "priest forever." His father died in 1980, the year he graduated. 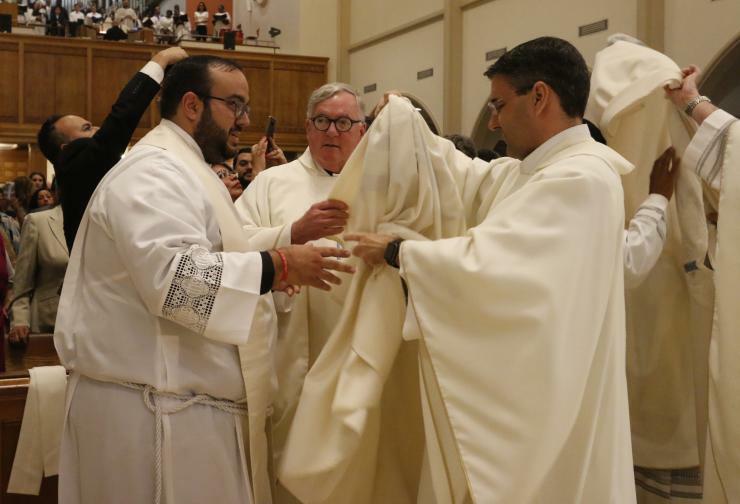 He was the oldest, and “I became a dad, literally,” to his two brothers and one sister. He worked at a bank while studying computer science. 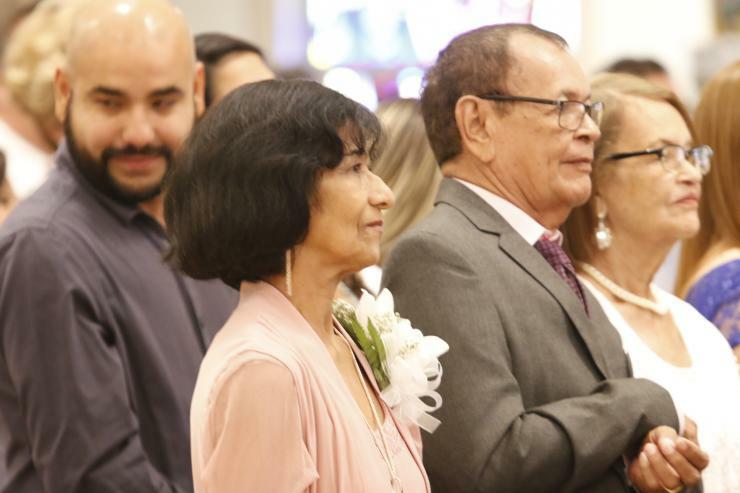 Eventually, his mother and siblings moved to Miami, and he joined them in 1991. 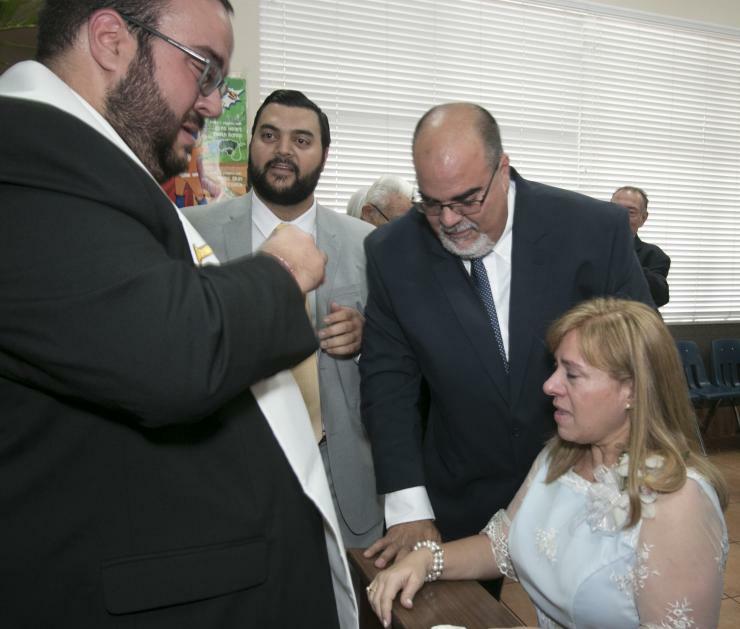 He found a job at a clothing factory in Hialeah, loading and unloading trucks. At night, he studied English. Soon he was promoted from the loading dock to the purchasing office, and the work became a career with three different manufacturers. 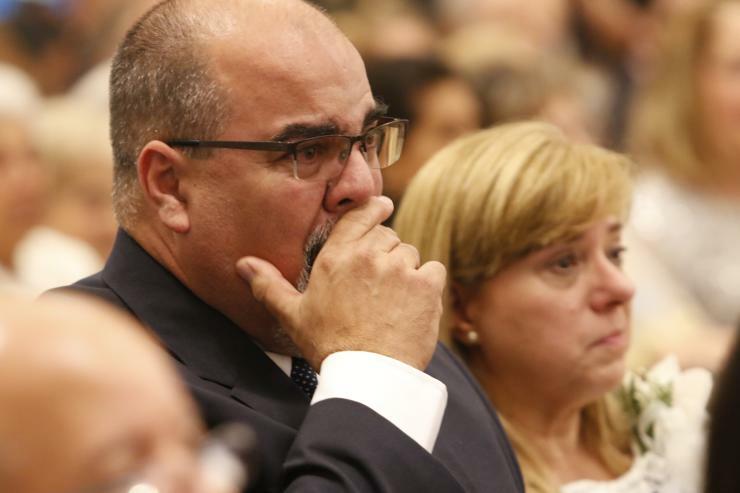 When the last one shut down its Miami operations, he was invited to join their central office in Chicago. “I was ready to go,” he said. 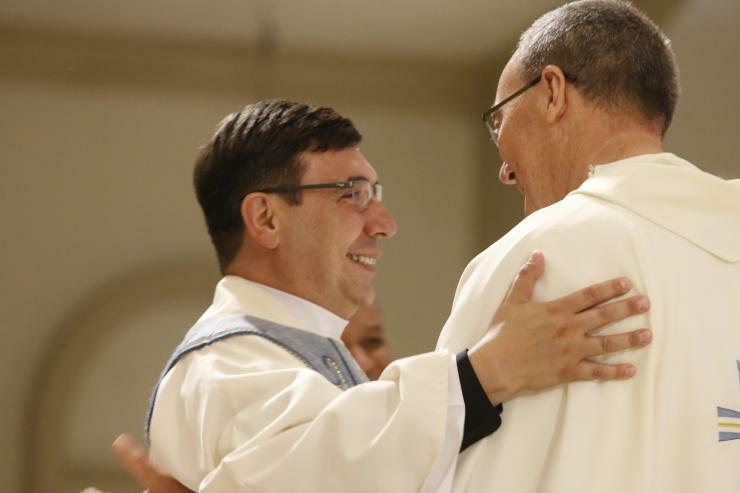 But two weeks before the move, Father Jimmy Acevedo, then pastor of Mother of Our Redeemer, offered him a job as parish administrator. 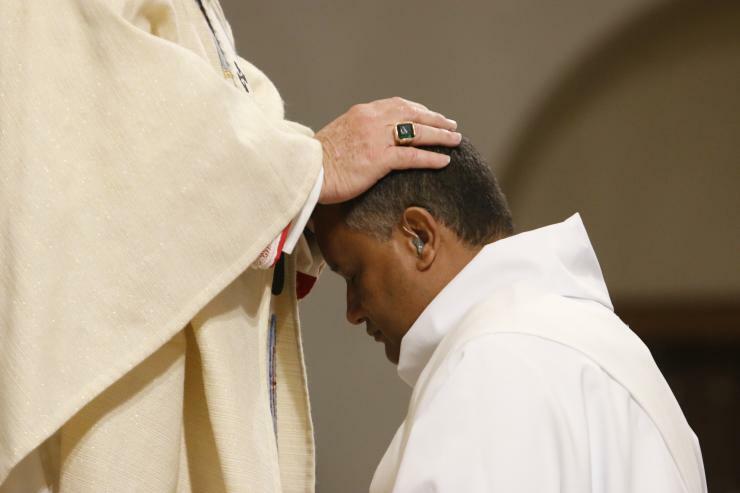 “I cannot pay you what you’re making,” the priest told him. But it was enough to live on, so he accepted. 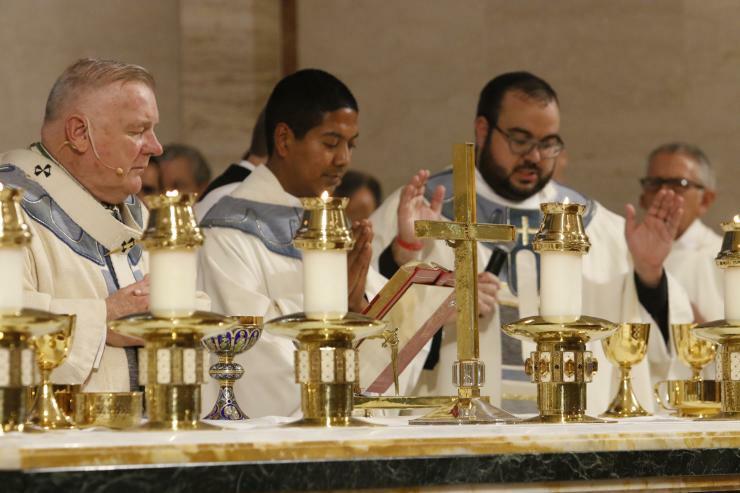 For the next five years, the parish became his life: in the office five days a week, there on weekends as well, since his ministry — which pre-dated his work — included serving as usher, lector and coordinator of liturgical ministries. 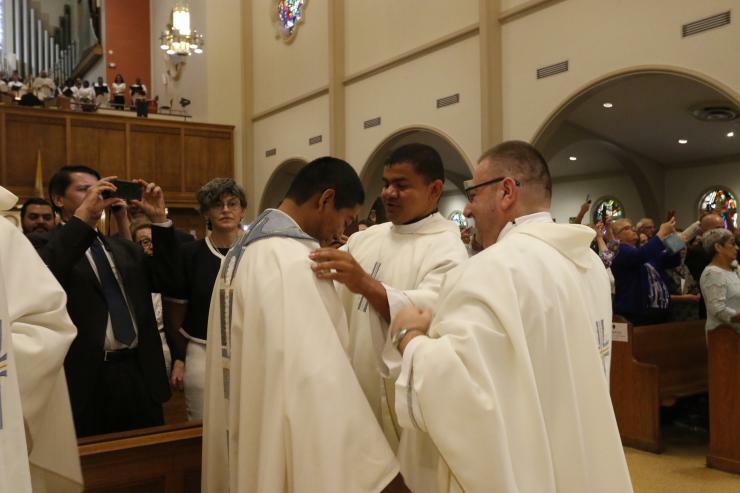 One day, “out of the blue,” Father Acevedo asked him if had ever considered the priesthood. 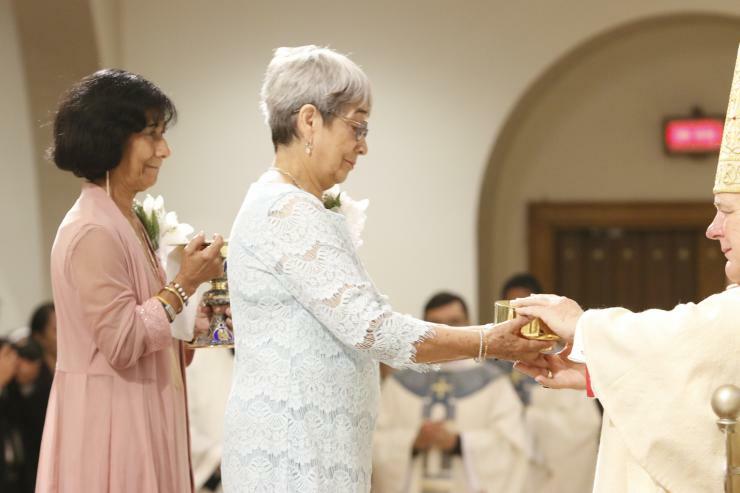 “I said, ‘it’s funny that you asked,’” Father Ayubi recalled. 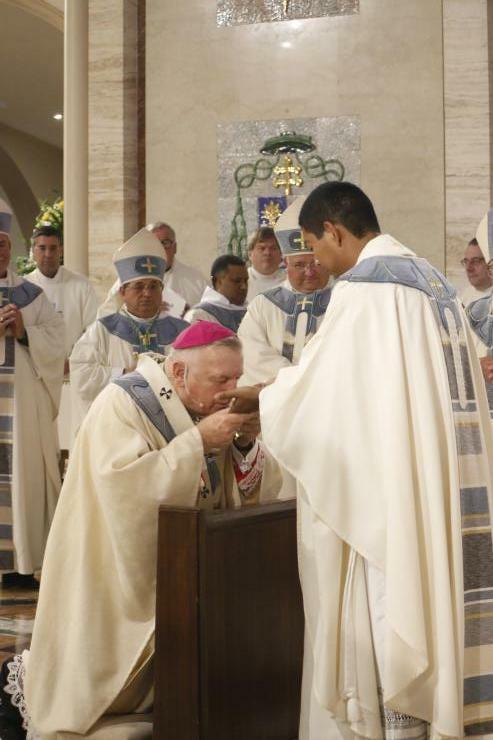 He explained that he had considered it anew but by that time he was in his 30s and figured he was too old. 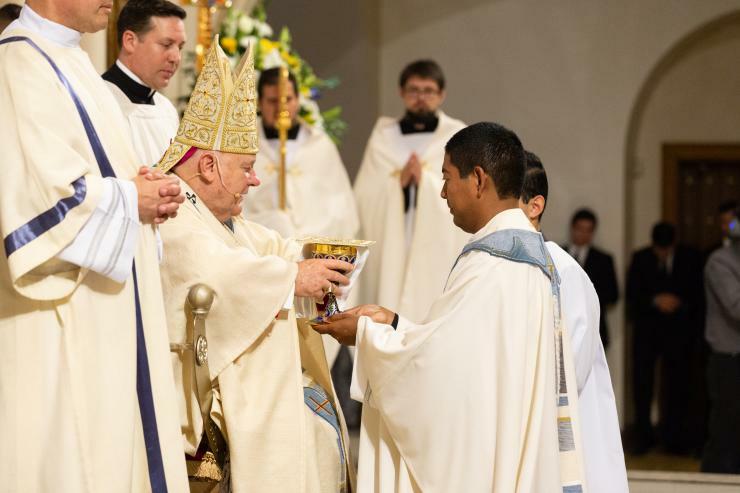 “You’re just silly,” Father Acevedo replied, pointing out that he himself had entered the seminary in his 30s. 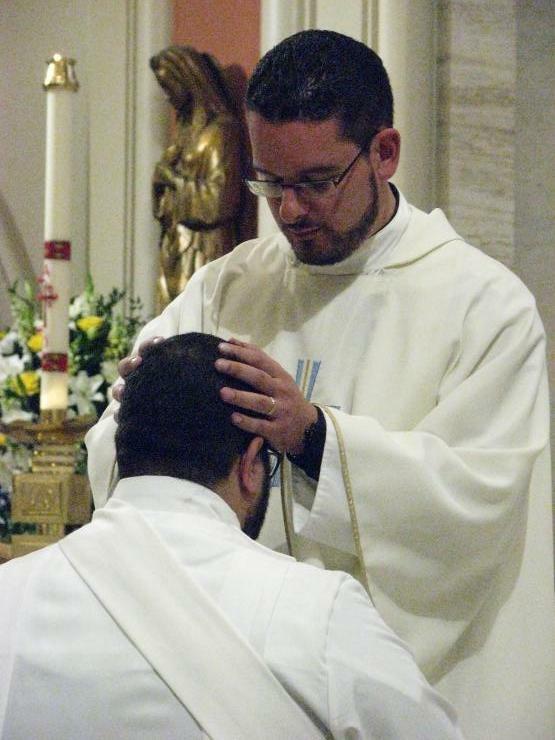 He will serve as parochial vicar at Our Lady of Lourdes in Kendall. 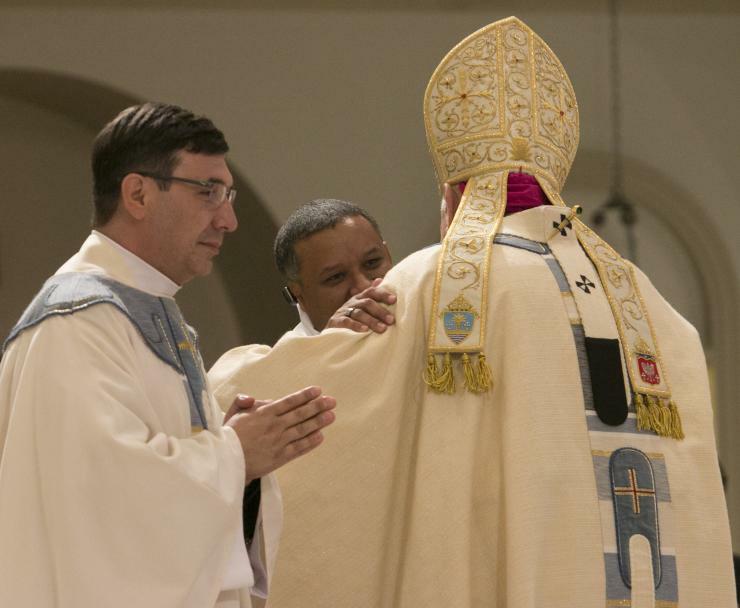 Archbishop Thomas Wenski lays hands on Deacon Gustavo Barros, calling down the Holy Spirit and ordaining him a "priest forever." 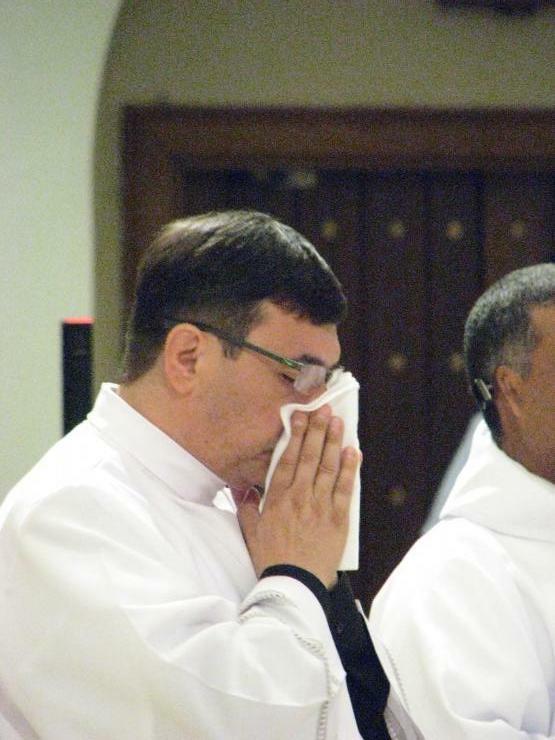 “Mine is a late vocation,” said Father Barros, born Sept. 7, 1972. 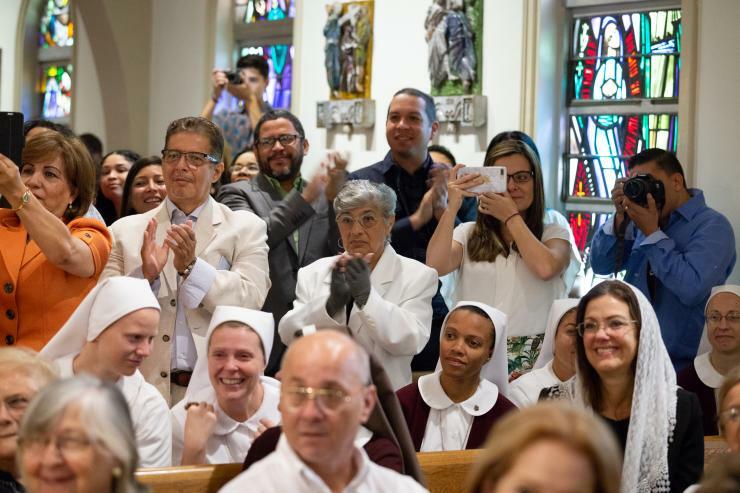 His dream growing up was to work as a photojournalist, and he found success in his native Colombia, eventually joining the staff of the nation’s most important newspaper, El Tiempo. 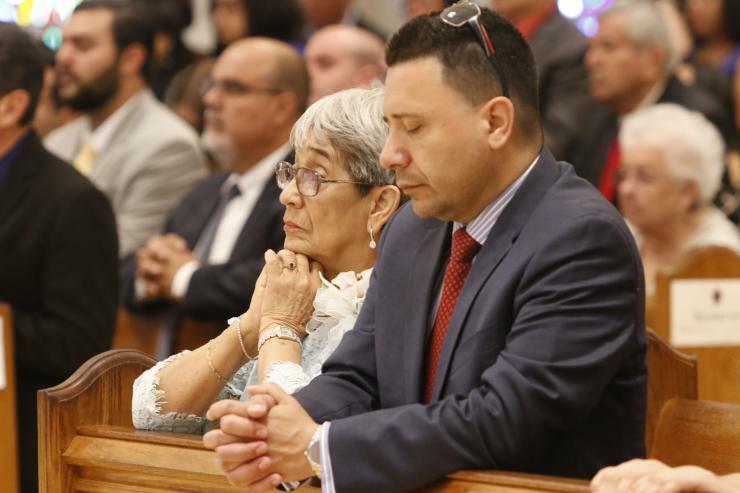 At 28, he set out to find success in the U.S. — and began living the immigrant’s life. 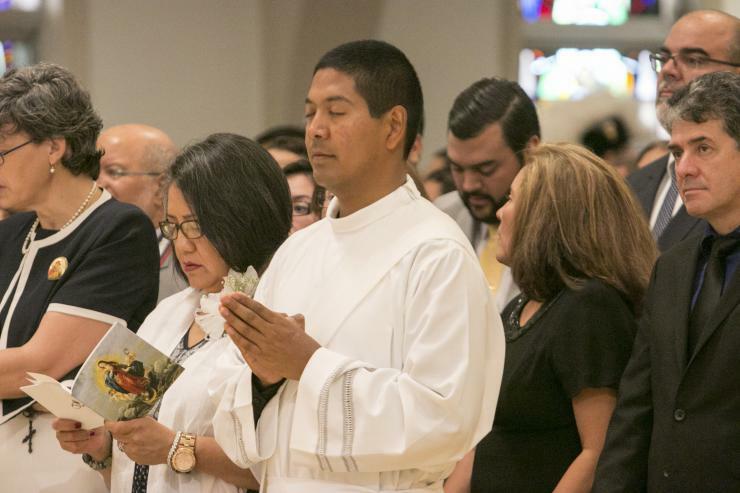 Reporting on immigrants in Seattle, mostly undocumented Mexicans, “touched me very deeply,” he said. 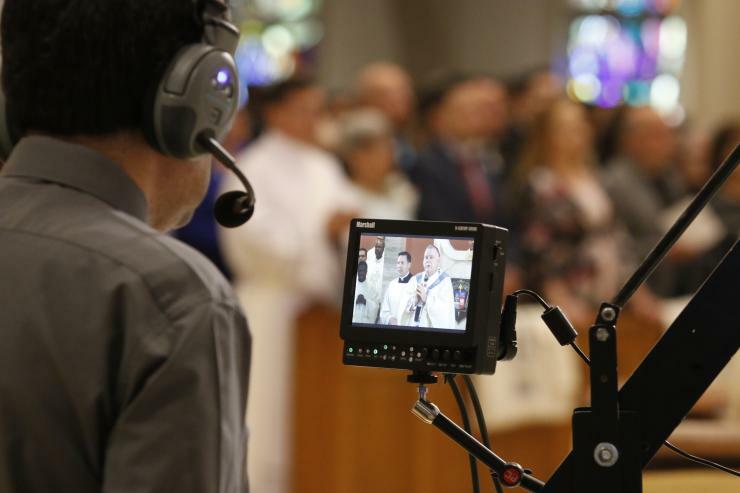 He also was born without one ear, a condition known as microtia and atresia which affected his hearing, though paradoxically, “I love listening to people.” Receiving an implant in the seminary — a Bone Anchored Hearing Aid — “changed my life,” he said. 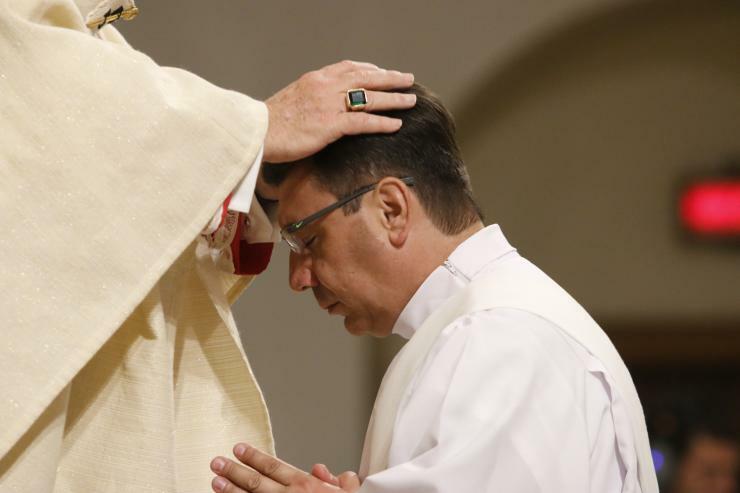 He will serve as parochial vicar at St. Louis in Pinecrest. 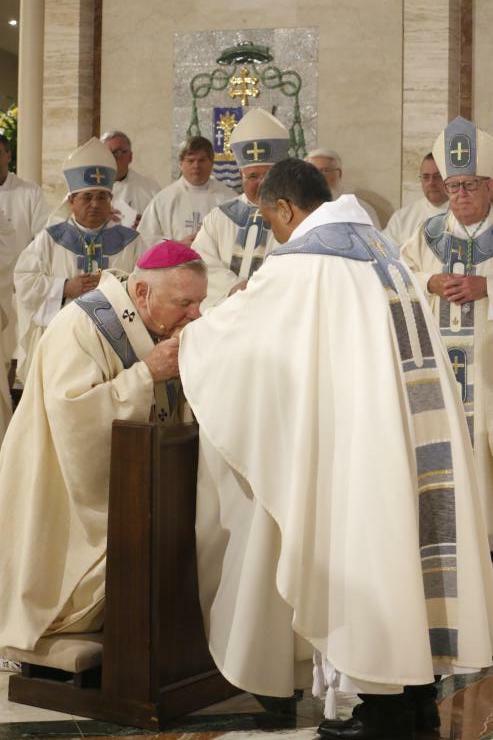 Archbishop Thomas Wenski lays hands on Deacon Juan Alberto Gomez, calling down the Holy Spirit and ordaining him a "priest forever." 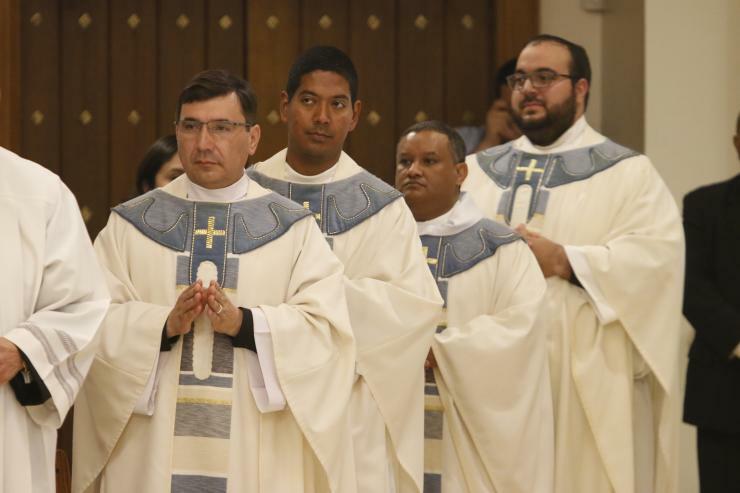 Father Juan Alberto Gomez, born Oct. 30, 1980 in Veracruz, Mexico, looks back on a somewhat difficult life. He is the fifth of seven siblings whose father was an alcoholic. 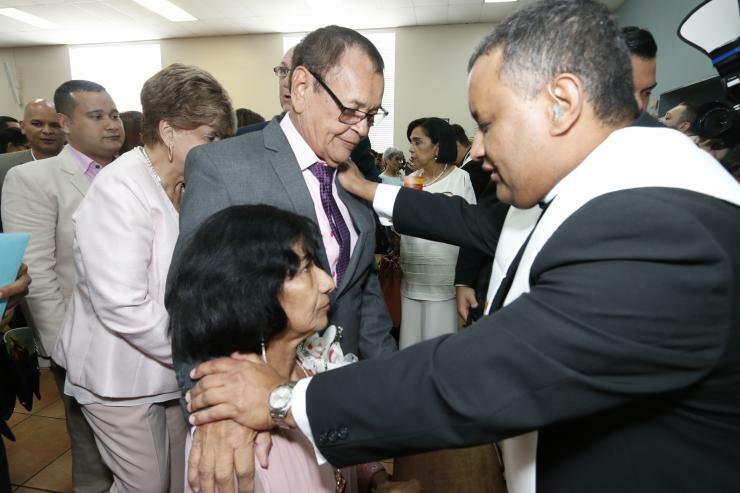 He left the family to work in another town when Juan Alberto was 10. His mother died when he was 16. 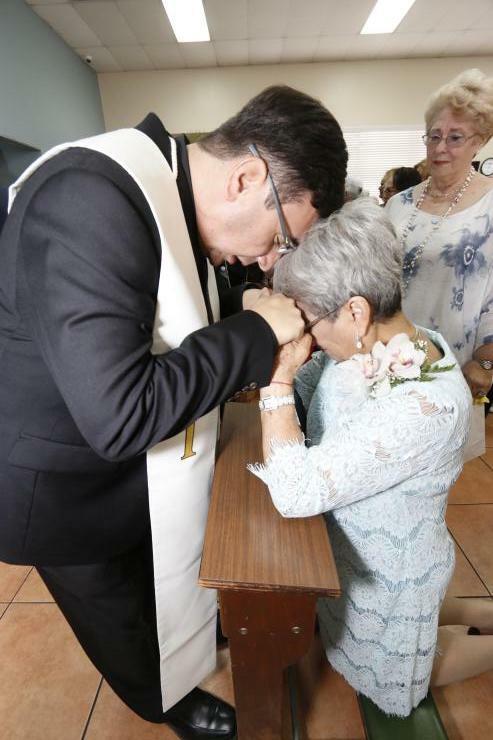 After high school, he left home and worked as a waiter for several years in Acapulco, returning to Veracruz in summers to pursue a degree in mathematics. 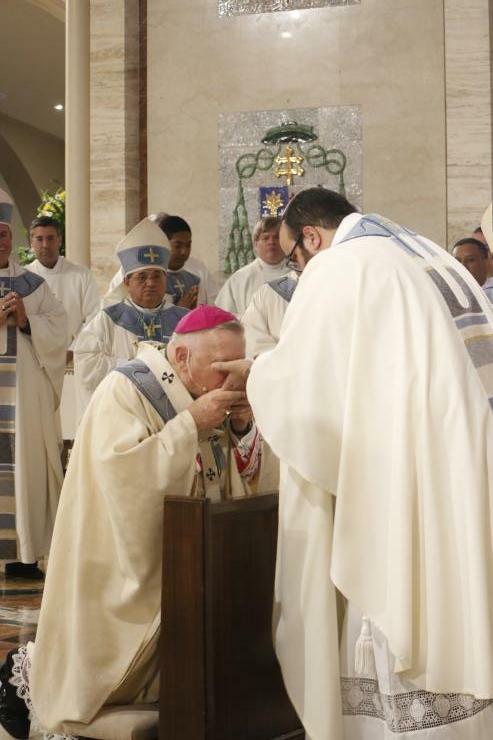 Along the way, he joined the Neocatechumenal Way. 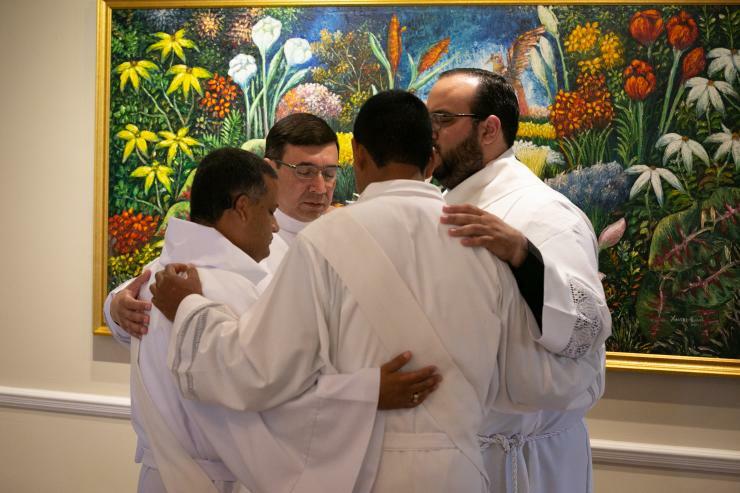 They helped him to see that he was not alone, to experience a Father’s love, and even encouraged him to take a leadership role in the community. 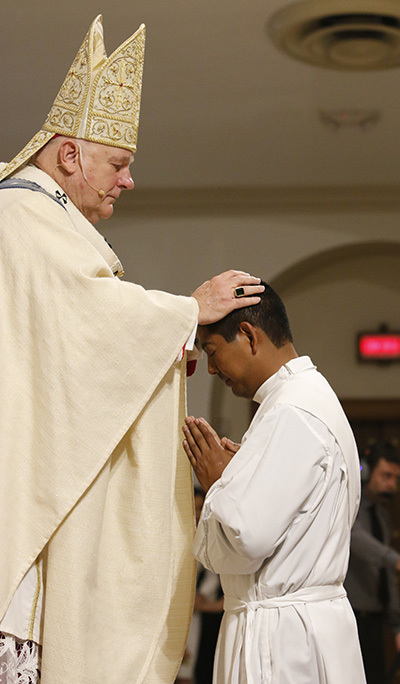 Eventually he responded to the call to priesthood. 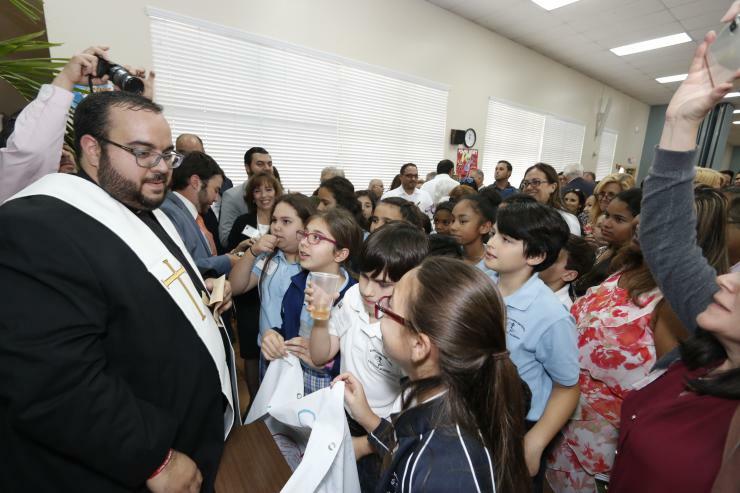 After studying at the Catholic University of America and the Blessed Diego Luis de San Vitores Catholic Theological Institute for Oceania in Guam, he came to Miami last year and joined the Redemptoris Mater Seminary at St. Cecilia Church in Hialeah. 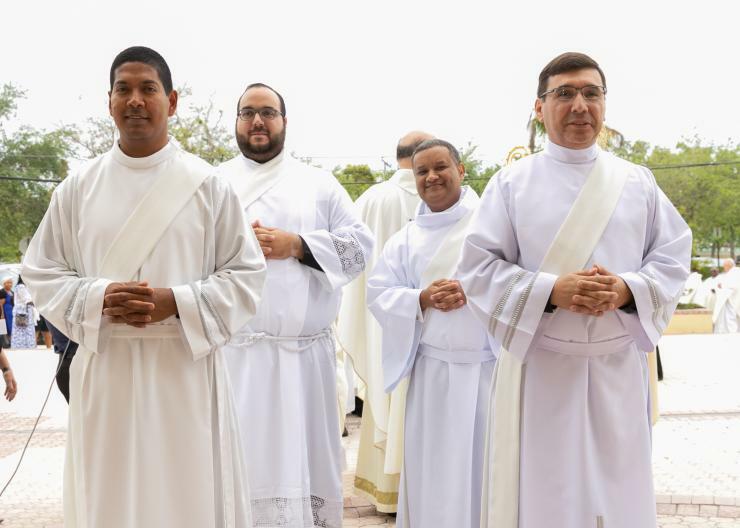 Since he entered the seminary, he has reconciled with his father, who still does not practice the faith and at first didn’t understand how his son could give up a wife and children. 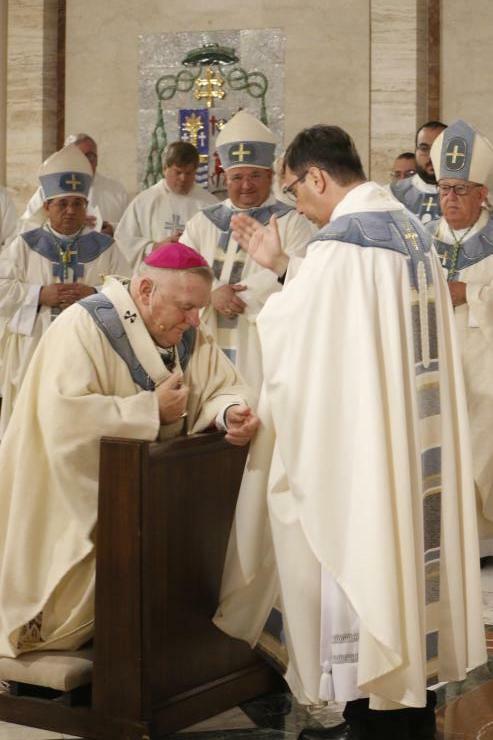 So he was floored a while back when his father said to him, “Son, you have chosen the better part” — the very words Jesus says to Mary in the Gospels. 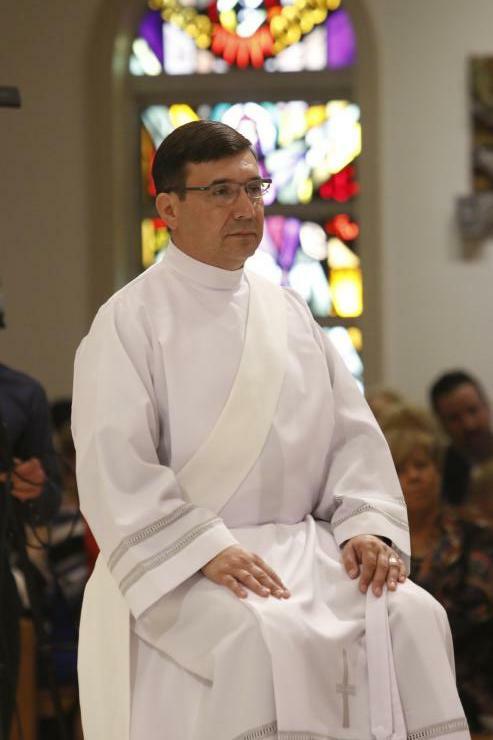 Father Gomez will serve as parochial vicar at St. James in North Miami. 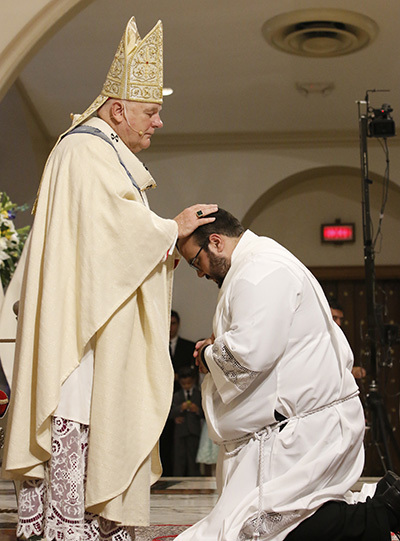 Archbishop Thomas Wenski lays hands on Deacon Matthew Gomez, calling down the Holy Spirit and ordaining him a "priest forever." 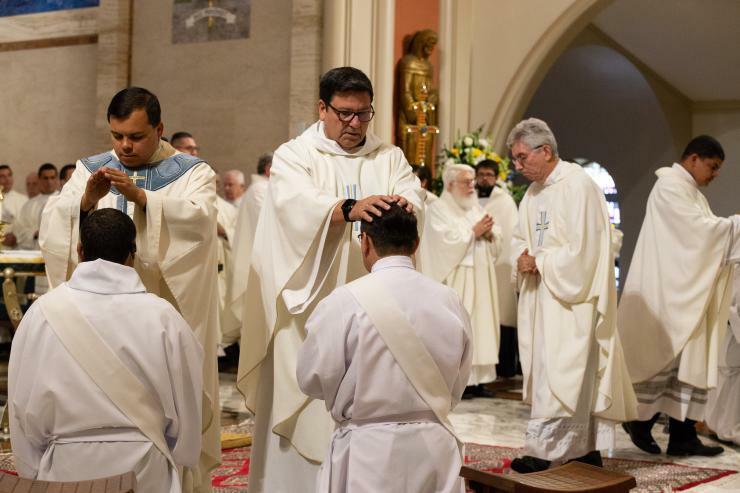 Father Matthew Gomez, born Sept. 4, 1990, is that rarest of breeds: Hialeah born and raised, a parishioner at Immaculate Conception Church, graduate of its school and of Msgr. Edward Pace High School in Miami Gardens. 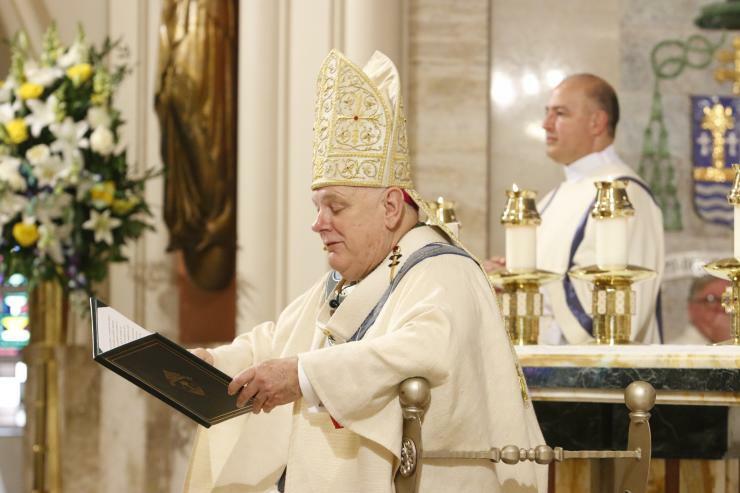 He spent a year at St. Thomas University before entering the seminary. While studying at St. Thomas, he remembers a three-week period where his professors “all spoke about taking risks.” So did the people he met when he visited the United Nations as part of a study tour organized by the university’s Global Leadership Program. 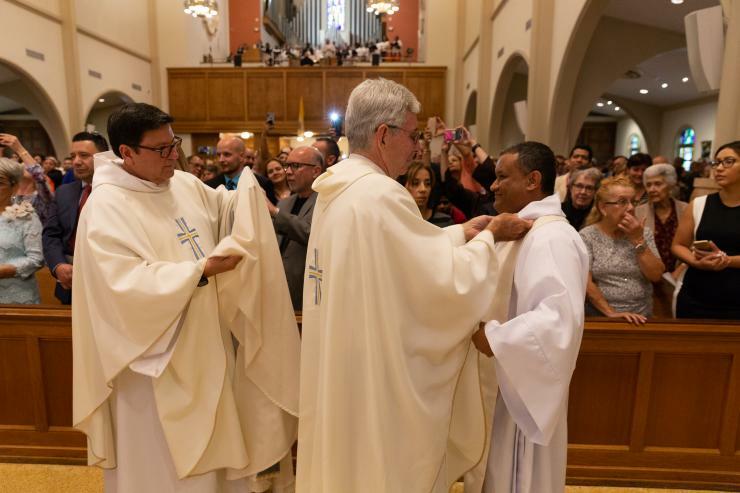 And so did a friend and fellow Immaculate Conception parishioner, now Father Bryan Garcia, ordained in 2015. 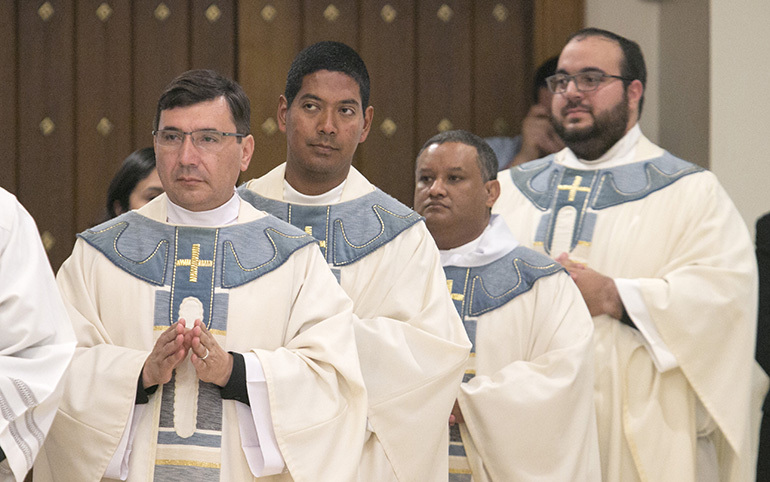 At a vocations retreat, Father Garcia had told the men that entering the seminary is all about taking a risk. 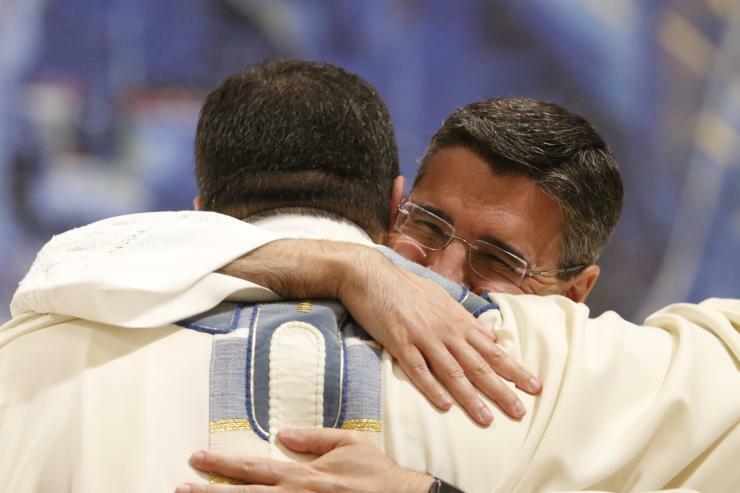 He told his brothers first, and a week later, his parents, who also were overjoyed. 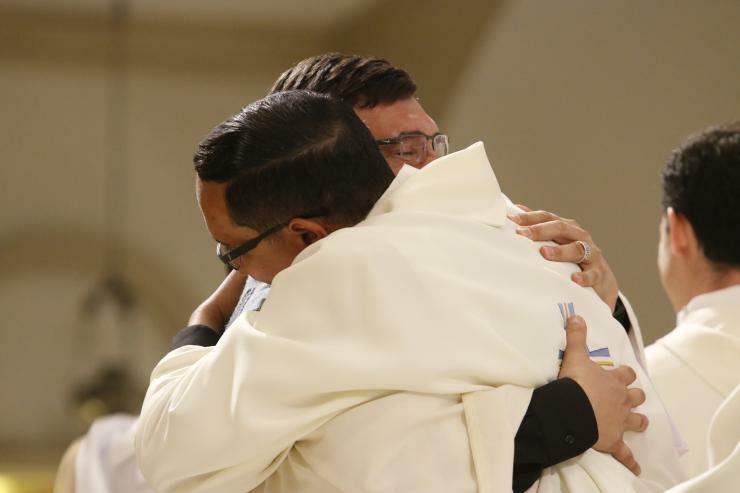 “That was the first, really the only decision I have made in my life without them,” Father Gomez said. 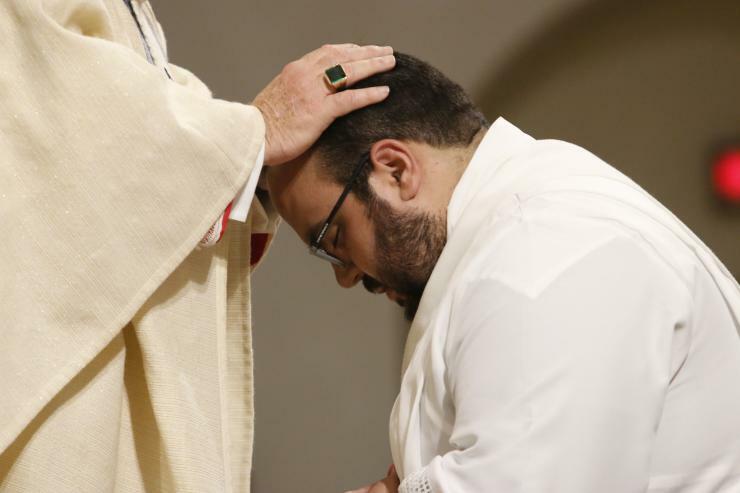 As a millennial, he is active on social media — “I embrace it as the tool it is” — and even hosts an occasional podcast with his brothers and a friend, called The Bearded Gentlemen, which can be heard on Soundcloud. He also loves going to movies and watching television. 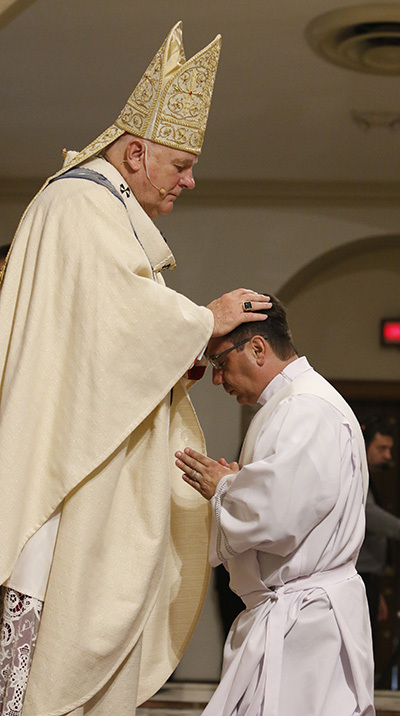 Father Gomez will serve as parochial vicar at St. John Neumann in Kendall. 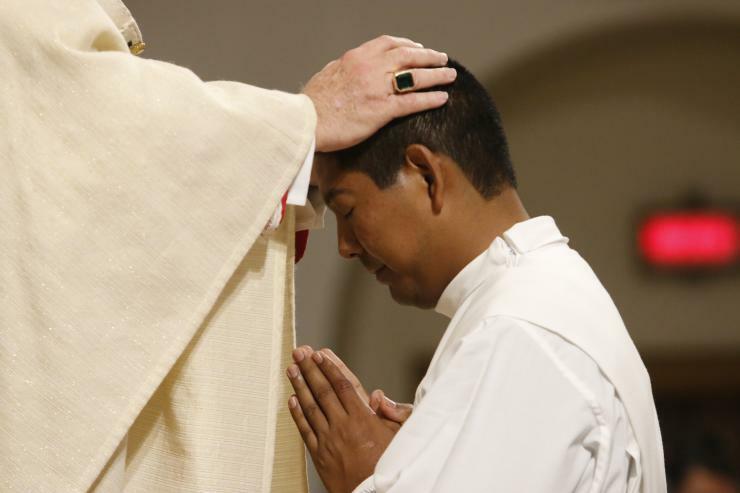 Youth groups: recipe for vocations? 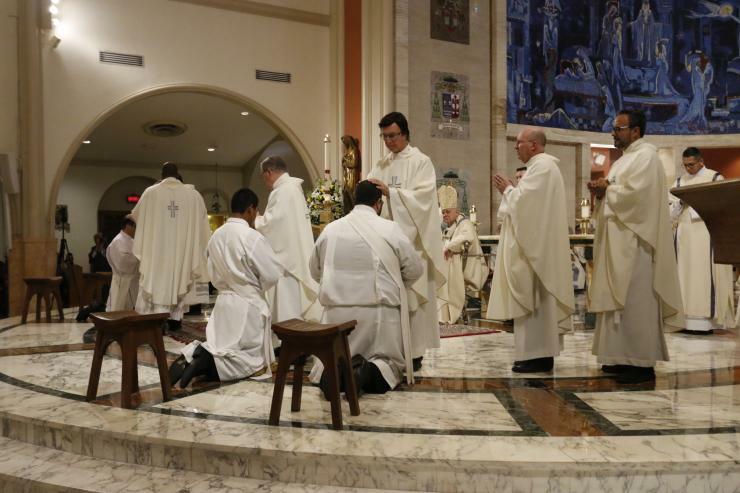 Newly ordained priests return to take their place in the sanctuary after having their hands anointed with oil of chrism. 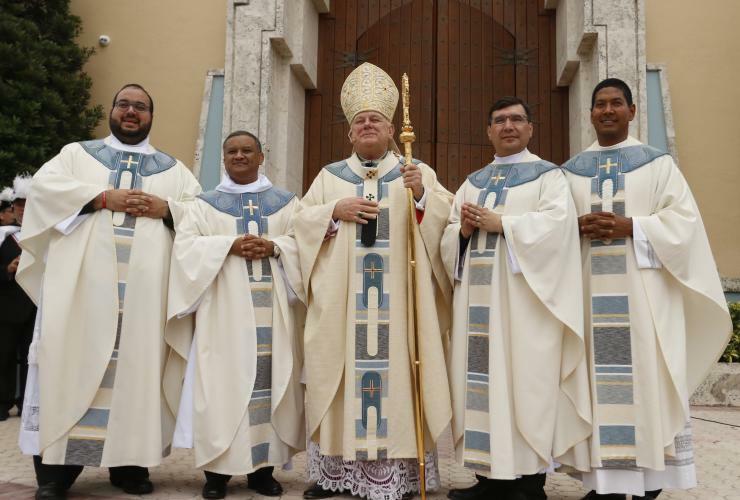 From left: Fathers Omar Ayubi, Juan Alberto Gomez, Gustavo Barros and Matthew Gomez.